Two Reds from The Pale | Simon Says… You really should drink this! Craftworks Brewery opened last year in Dublin and provides a brewery kit for start up brewing companies to brew on. I picked up Third Circle Red which is definitely brewed there and Wood Key’s Pilgrim that I’m told is brewed there on Monday’s visit to Deveney’s, Dundrum. I popped open the Third Circle Red first to go with a steak sandwich. Steak and Ale, is always a winner in my book and this was no exception, the mellow fruity flavours complimented my repast nicely. A decent beer with a cool label. I opened the slightly stronger Pilgrim next. They play up their Dublin heritage with a bit of a story about where they found their adopted logo. 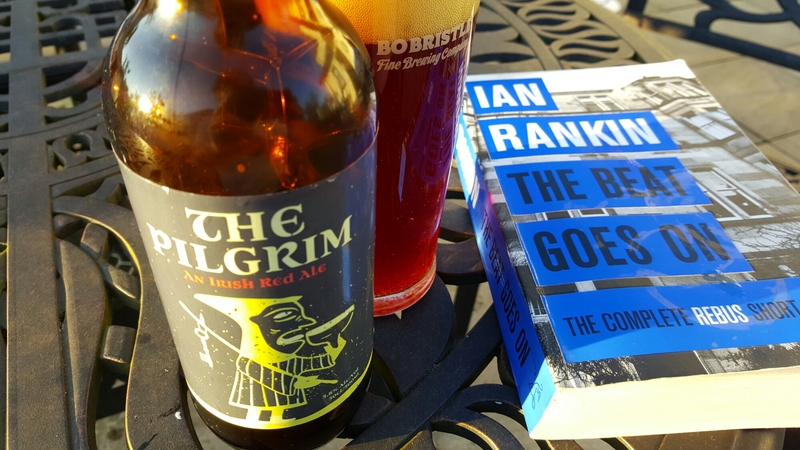 I had this with one eye on Ian Rankin’s collection of tales about his antihero John Rebus and the other on #irishbeerchat hosted by Wicklow Wolf and Irish Beer Snob. It’s great to see what people are drinking around the country, unbelievably, not everyone checks their beers in on Untappd. The Pilgrim had been built up for me as a serious beer. It didn’t disappoint, but it didn’t blow me away either. It’s a solid, drinkable Red Ale that I’d be happy to drink again. Give them a try yourself and see what you think. Sláinte! 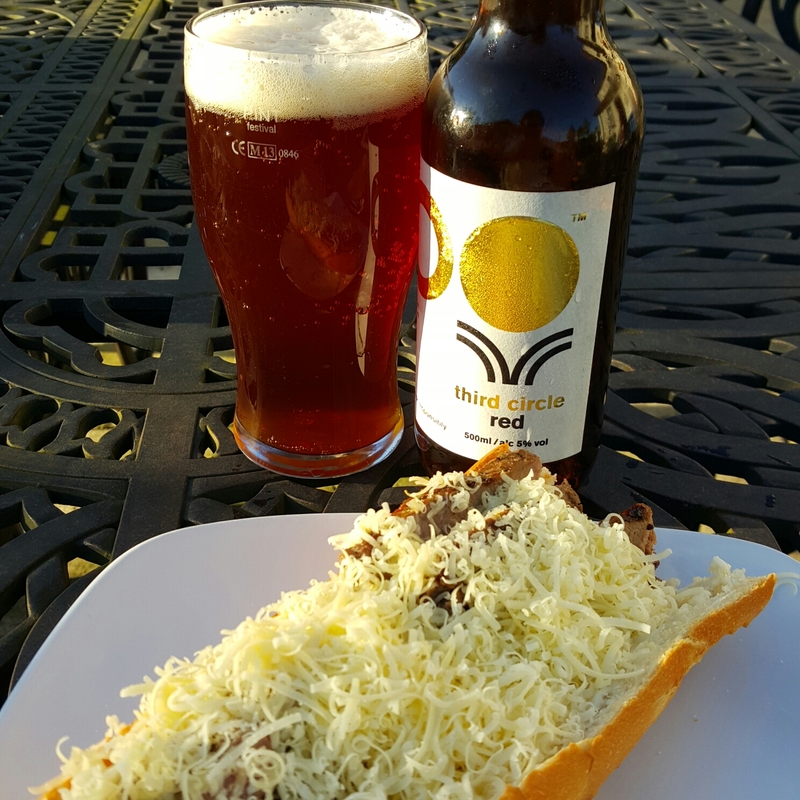 This entry was posted in Uncategorized and tagged Beer, craft beer, Dublin beer, Ireland, irish craft breweries. Bookmark the permalink. Great leads! We will be visiting Dublin this winter, and are always looking for new places to visit! Well you have plenty of great places to eat and drink, give me a shout nearer the time and I’ll give you a few recommendations!